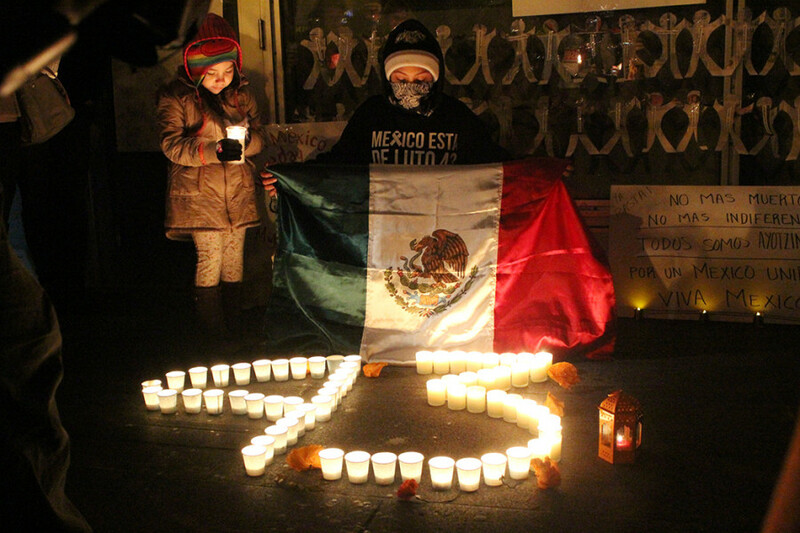 Approximately 50 people, including many Mexican immigrants, joined in Spanish song, call-and-response chants and speeches to advocate for justice for the students who were from the College of Ayotzinapa on September 26. The Montreal demonstration comes after a protest was held in Mexico City on Friday demanding answers from the government regarding the whereabouts of the 43 individuals. The students were allegedly attacked by municipal police, who subsequently ordered them to be murdered by local criminals, according to Mexico’s Attorney General in multiple reports. Erika Arrieta, who is originally from Chihuahua, Mexico and moved to Canada 12 years ago, became visibly upset and apologized for her emotions when discussing the situation. She said government corruption is “normal” in Mexico and Mexicans are mostly accustomed to it. Arrieta, who said she used to work for the Mexican government, compared her experiences growing up in Mexico to living in Canada for over a decade. She called the Canadian system “strong” and said there is “respect for human rights” here. Eva Garcia Diaz, who originally hails from Uruapan, Mexico, was one of the main organizers of the event. She said that she is angry and sad about the missing students and added that she hopes her children never have to witness such incidents again. 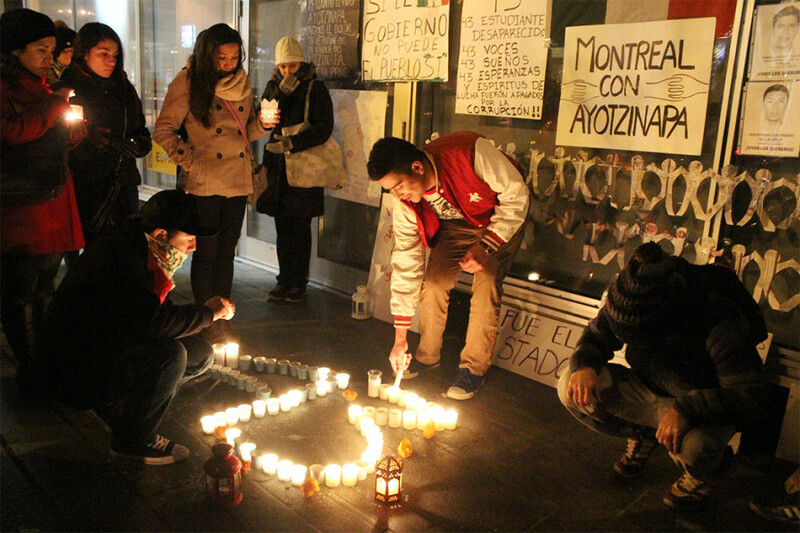 The goal of the demonstration was to show their support from Montreal and to illustrate to Montrealers that Mexico is unsafe and in need of security, Diaz continued. Gerhard Favela, who is from Durango, Mexico, echoed Arrieta’s sentiments and said that it’s one of the saddest events Mexicans have experienced in the past few years. He added that the human rights conditions in his native country are “unacceptable” and that his people should not accept this state. “The whole attitude of the government, which have tried to downplay the event, has been completely unacceptable,” Favela said. 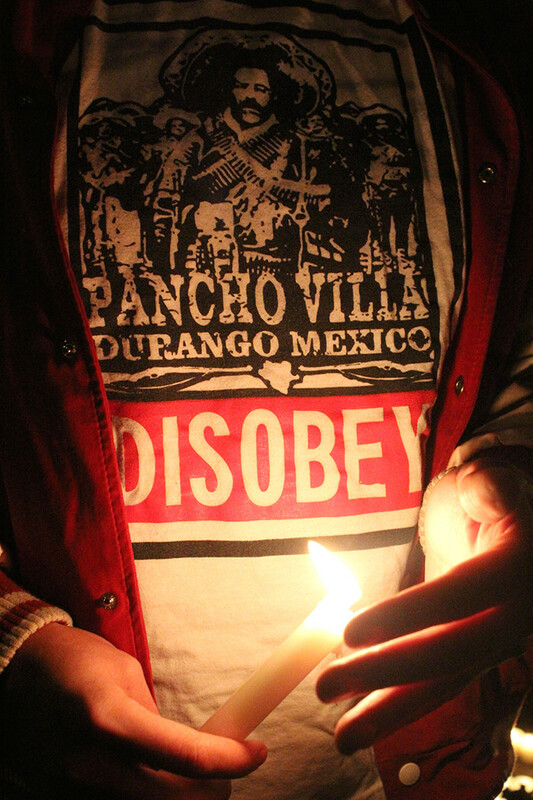 The nighttime demonstration of solidarity and support in Montreal was important to put pressure on the government to act, as incidents like this are not “isolated” or “outliers” in Mexico, according to Favela.